Travel with Kevin and Ruth! : Looking for a top five finish! CityChase involves strategy, athletic skill, and the ability to push yourself hard. Not everybody enters to win though. Many of the teams entered do it for fun. Billed as "Canada's Largest Urban Adventure". Alex and Matt enter it to win though. After their awesome 7th place finish last year, they're pretty confident they can get a top five this year. And if they finish in the top three, they get to go to the National Finals event, being held in a (so far) secret location somewhere in Canada! This year's event also includes the ability for the teams to do some fundraising for the foundation that sponsors the event. 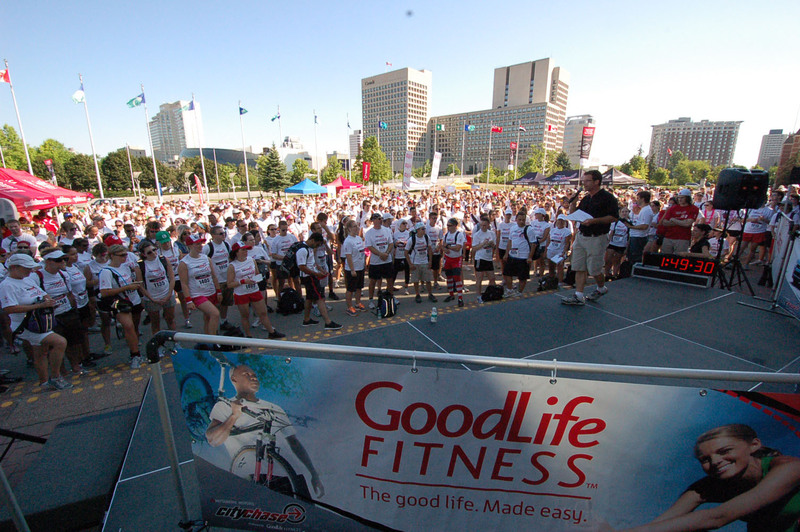 The main sponsor is actually Goodlife Fitness, Canada's largest chain of fitness gyms. But Goodlife Fitness also heads a registered charitable foundation called Goodlife Kids Foundation. The main goal of the foundation is to help children with autism get out and enjoy an active lifestyle. So Alex and Matt have a goal to raise $1,000 to go to the kids with autism. And besides the benefit that the kids get, the racers also get some benefits by raising money. For every $250 they raise, they get a chance to be entered into a draw to go to the National Championship no matter where they place in the finish. And, they get various clues to help them in the race depending on how much thy raise. Canadian donors get an income tax receipt for anything $20 or over. American donors get the benefit of a great exchange rate. Your $20 CAD donation will only cost around $15 USD! So, we're asking our readers today to take the time to help out the kids with autism, and also to help Alex and Matt meet their goal and possibly have an even better chance to win the race! Any amount helps, even $5! They've only just began fundraising, and the race takes place Saturday July 18th so they don't have much time. We're happy to start them off with the first $20. Here's hoping many of you will do the same! So, get out your Visa or Mastercard and Click here to donate! Thanks for giving it a shot dad. And thank you everyone for taking the time to read today's post! You're welcome Alex! We know you will give it your best and have fun while doing it. Good luck!